Welcome to the Off Road Podcast. Today we will be exploring the off road world-- whether you like crawling up rock ledges or enjoy exploring the backroads with your family. Stay with us to find out events in your area, off road news, and topics to interest every guy & girl who craves the outdoors as seen through the windshield. I am your host Ben here with my co-hosts Jeremy, Aaron, and Steve. Also with us returning guest Mac! How’s everyone doing? Jeremy - still looking for dualsport. scouted for the listener run, then went on a listener run. Aaron - Didn’t make it to Tahuya. I’ve been tearing up the gravel roads around my house. Wife authorized a hunting rifle purchase. Mac - I’ve done a ton of research lately on regearing my JKU. Need a little more torque and fuel economy. A bit sluggish on 35’s. Getting ready for Moab in April. Just picked up a Hudson H9. Haven’t shot it yet, but hopefully next weekend after opening of duck season. First time at Tahuya...had a blast. Brought a ton of mud home with me. Things I need to change on my 4runner besides the color maybe install all the parts that already laying around? We are a proud part of the firearms radio network. firearmsradio.tv your one stop shop for your firearms radio entertainment. Please leave us some feedback at offroadpodcast@gmail.com also leave us some comments on itunes, our web page or on your podcatcher app to help promote the show. Full show notes available at firearmsradio.tv/the-off-road-podcast/194. 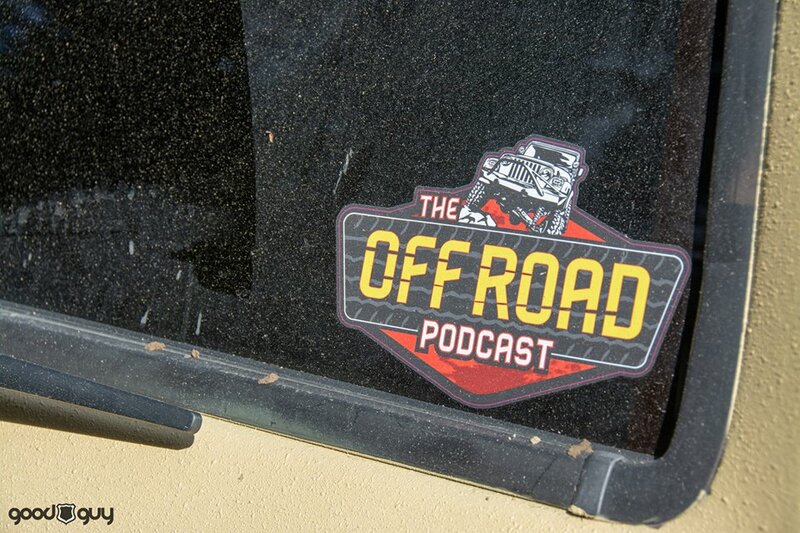 Don't forget to visit our facebook facebook.com/offroadpodcast our Instagram @offroadpodcast or our Youtube. And always, when offroad please remember be smart, courteous, alert, safe and as always have fun & tread lightly, And thank you for listening.